Mardi Gras is marked by wild parades and raucous parties in places like New Orleans and Rio de Janeiro. So in what way is it connected to Christianity? How much do you know about all the various holidays and celebrations throughout the year? If you study into them, you’ll find a lot of them have religious roots in the ancient pagan world and several more have a circuitous connection to paganism. Mardi Gras is considered to be the culmination of a festive season leading up to Lent (another custom not taught in the Bible but recognized by even more churches). Mardi Gras is purposely designed to commemorate frivolity, carousing and sin, but is considered in many quarters to be part of the Christian calendar. So we begin to see that this raucous celebration has its rudimentary foundation in the pagan world of old. 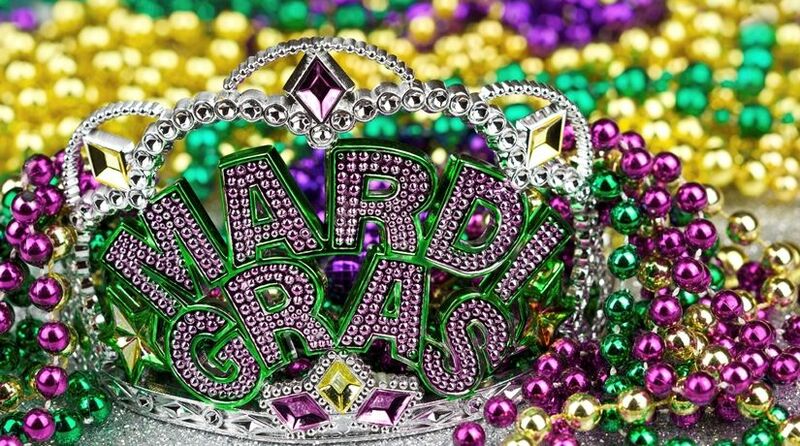 Literally, Mardi Gras is French for “Fat Tuesday,” which is celebrated to signify the last day of eating meat and, on a larger scale, of partaking of life’s joviality prior to Ash Wednesday. Ash Wednesday begins the Lent season, which ostensibly leads to what is known as Holy Week, culminating in Good Friday and then Easter Sunday. If one were to do a simple word search in an online Bible search engine, typing in “revelry” or “carouse”—two words frequently used in correlation to Mardi Gras—you would pull up quite a number of scriptures telling us not to conduct ourselves in such a manner. To the average person celebrating Mardi Gras, such disorderliness may appear not only harmless but quite enticing. What does God have to say about such matters, or does He even care what Christians do in celebrations? Notice just a few scriptures to guide us in the direction of God’s thinking. The Bible instructs us in Deuteronomy 12:29-31 and 18:9-14 not to adopt practices steeped in paganism. God means what He says. Even celebrations that remotely reflect some of the ancient practices are geared toward lowering a person’s inhibitions and toward increasing acceptance of immorality. Earlier we noted that Mardi Gras was linked to the Roman celebration Lupercalia. An Internet search quickly ties the god Lupercus back to Tammuz (and eventually Nimrod). In discussing false worship, the Bible calls the sight of women weeping for Tammuz an abomination. Please take note of what the Scriptures reveal about God’s anger about Tammuz celebrations in Ezekiel 8:13-18. God wants us to hate sin, put it away and truly repent. Mardi Gras promotes an enjoy-sin-now, repent-later attitude that is the opposite of true repentance. God wants Christians to worship Him. He wants us to celebrate, but He wants us to do it correctly—the way He has instructed us to. We are to be joyous and festive on religious days, but we are to do it on days He has designated. To learn more about the festivals taught by the Bible that address sin and repentance and occur during the time of Christ’s death and resurrection, see our articles on Passover and the Feast of Unleavened Bread. As the apostle Paul said, “Therefore let us keep the feast, not with old leaven, nor with the leaven of malice and wickedness, but with the unleavened bread of sincerity and truth” (1 Corinthians 5:8).